How to Create a Website and Make Money Online? Thousands of people every day go to the internet to try to earn an income. People are tired of the 9-to-5 grind that comes with a day job. What happens when these people try to start their own business from home on the internet? For the vast majority, they end up not making any money. In fact, they fall victim to some kind of scam where they are paying someone else to give them information that not only will waste their money, but will also waste their time. For those just starting out, it is important to understand that making money on the internet takes a lot of dedication and time! You aren’t going to be able to just throw up a website on wordpress.com (or some other free host) and start raking in the money. Unfortunately for those trying, getting to the point where you are making a full-time income on the internet is a very competitive process. Many do not succeed. This is why it is important to make sure that you know what you are getting yourself into when starting out. It is fully possible that you will work for an entire YEAR without ever making any money on the internet. In fact, you may lose money while you invest and grow your website. Yes, that’s right. 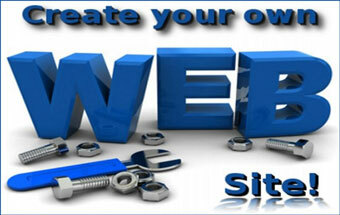 You need to have a website to start to really earn money via affiliate marketing or online sales. Before you click away from the page because you know nothing about websites, you should know that you are not alone! Many people go into online marketing without any idea how it works. They are just like you and want to make money online. What do you have to do? Learn! You have to put the time in to learn the craft and make something useful for people to read online. The first step in doing this is figuring out how to get your website on the internet. The process is really quite simple, but you may find it difficult if you have never done it before. Keep reading for a step-by-step guide. Here are a few steps you can take to start your website and then make it grow. We have a few tools that we recommend you buying, but you don’t really have to buy them in the beginning. For those just starting out, just think about what you enjoy doing. Do you like dogs? If so, maybe you would want to start a website about dog training and/or dog-related products. Maybe you like to write about woman’s shoes? You can make a site like “kicksforwomen.com” or something similar. Of course, after you have a list, you should go to the internet and figure out if there is an affiliate program or product that will suit your niche. Not every niche is a profitable one, so be smart and choose one you enjoy AND one that can make you some money in the long-term. We use GoDaddy.com, but you don’t have to use them. There are many other places where you can get your domain name. Namecheap and Register.com are a couple that come to mind. You shouldn’t pay more than about $10-$15 per year per domain. If a company wants to charge you more than that for just a domain… RUN! There are literally hundreds of web hosting companies, many of which will do a great job at hosting your site. Chances are that your site will not be getting thousands of visitors a day in the beginning, so you can choose a shared hosting service that will allow you to “share” a server with other sites. This will cut down the cost of the hosting substantially compared to renting an entire server. Shared hosting can be had for about $6 a month, while a dedicated server will usually cost anywhere around $150 a month and up, depending on the server specs. We recommend going with Arvixe and JustHost, as they are who we use. We have never had a problem with them and they are one of the most popular choices. Here is more on how to choose the best web hosting for your website. This is the software that you will use to put content onto you site. Instead of needing to know HTML and other “code,” you will be able to go into these systems and make pages using their interfaces. This makes the process of creating content very easy. 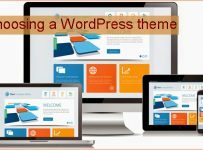 We recommend WordPress because it is easy to set-up, easy to administer, there are thousands of themes (pre-made designs) to choose from, and it is FREE! Drupal and Joomla are the second and third most popular CMS after WordPress. This site uses WordPress. When using WordPress or any other CMS, there will be many free themes available for use. They will allow for you to have a semi-professional looking site with absolutely no investment whatsoever. These are great for new websites. Note: as your site grows in traffic and popularity, you may want to look into getting a custom design. This will differentiate your site from the rest on the internet. 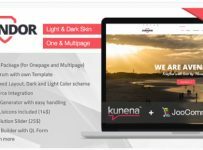 But in the beginning, there is no reason not to use a pre-made template so that you can keep the investment into the site minimal. This is where the true “hard stuff” begins. Making a website that will be interesting and will keep a reader’s attention long enough to “sell” them something, where it be political opinion or green shoes, is not easy. People are so inclined to go to the next page, it is really important to create great content that is worthwhile and helpful to the reader. After you have gotten your site up and running it will be time to actually promote it. This can be tricky. Most of the traffic to websites comes from Google and the other search engines. To become the top website on Google takes a lot of links to your site, a lot of good content and a lot of dedication to update that content regularly. 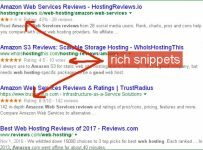 For more in-depth information about the process of getting your website to the top of the search engines, search Google for search engine optimization, shortened to SEO. We hope that you have found this guide useful, as it is meant to help the beginner understand what it takes to make money online and get them started in the right direction. Aricltes like this are an example of quick, helpful answers.